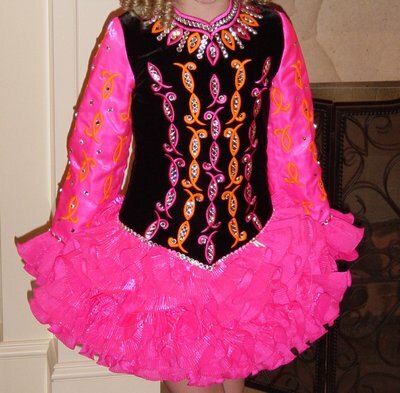 Stunning black velvet/bright pink ruffle skirt Siopa Rince Champion dress! 100’s of crystals. Shines on Stage!! Excellent Condition. Less than 1 year old. Bloomers and head piece included. Let out and let down room. Asking Price: $US1850 or best offer. Shipping costs are included for my own country, overseas shipping is extra. Returns are negotiable.